The True Cost of Conflict is the first book to show in clear and accessible terms the vast price of conflict to the human race. 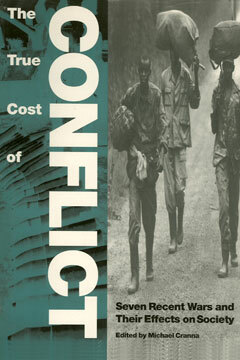 The result of a unique collaboration among six international humanitarian organizations, this book reveals not only the number of deaths and injuries resulting from war, but also the less-publicized consequences, such as the extreme economic damage incurred by both the participants and other communities, the dire social and developmental damage, and the environmental damage, which are often ignored in calculating the ravages of war. By laying bare the true cost of conflict, this book adds an essential new perspective to debates on national security, and asks who, if anyone, really benefits from war. Finally, it considers the effects of current approaches to conflict management and prevention. Michael Cranna is a New Zealander who works in London. He was the coordinator of Saferworld’s True Cost of Conflict project.